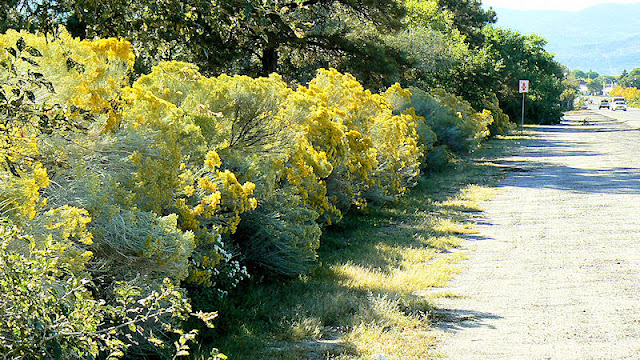 Los Alamos Daily Photo: Chamisa In Bloom - ACHOO! I hadn't heard of chamisa before so I googled it and that led to me exploring a man's artwork page that featured a painting with it and getting distracted. It reminds me of scotch broom, at least from the picture. Sounds like scotch broom a pesky plant? We even have Chamisa Elementary School here in White Rock.